HomeGame Development Update #2 – Try For Free! I’m excited to tell you that you can try the game now for free, or at least what the game is right now. I know it’s buggy and I know it is lacking on the visual side (*cough-cough*, most of the objects in the game are white boxes), but you can just try how it feels. In addition to that, you don’t have to try it alone. At the end of this post, I will have a video that shows you how you can try it out in multiplayer with your friends. Previously it was difficult to understand whether or not somebody was shooting at you and if they hit you. Especially because there are no sound effects in the game yet. So similarly to other multiplayer shooters, I made the screen flash red when you get hit. It adds a lot of understanding to the game, because now you can react to other people shooting you, instead of just out of nowhere falling through the world and thinking “Oh right, there must have been people shooting me for a while”. To add to that previously described feature I added kill-screens. You’ll get a screen telling you that you died when your health reaches zero. Unlike most shooters where the biggest text on the screen would be “You died!”, in Project Number 2 it is not like that. Cmon, it is quite obvious that if somebody just laid hellfire on you and you no longer can move, that you actually died. Instead, we’ll have a big custom text up on the kill-screen. So when you kill someone, that person will get one of your previously set messages widely across their screen. You can write whatever there. For example “Get rekt” or “BOOM! Headshot!” or anything else that comes to your mind. I haven’t decided whether or not this feature should exclude swear-words. I’ll leave that decision for the future. 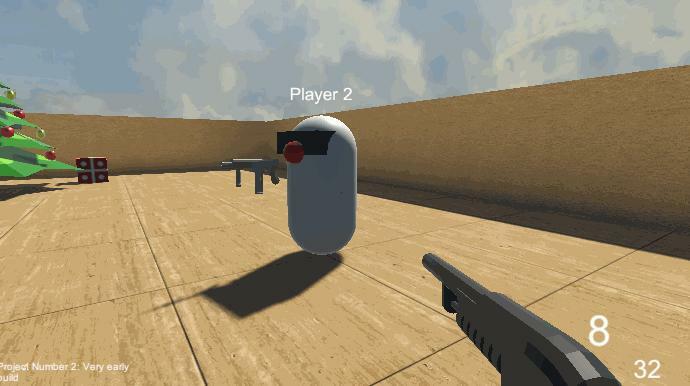 When the player was previously only limited to shotgun, now the player can switch between three weapons. A bat, an SMG and a Shotgun. All weapons have a different rate of fire, range and damage. According to the game’s current vision, these three weapons are going to be the only hand-held weapons that you can do damage with. These three have a limited range and thus make it necessary for all players to have short distance battles. All weapons now have muzzle flashes (the smoke and sparks that come out of the barrel) when the player shoots. I must say, I just loved the look of it when I implemented it to the game! It adds so much feedback, even though it is a subtle thing that is standard for all shooters. It actually makes you think of all the little things, that add to the immersion of the gameplay. It also looks quite frightening to see an opponent pointing a gun at you and then see the end of it start flashing. It kinda looks like the last thing you would see. 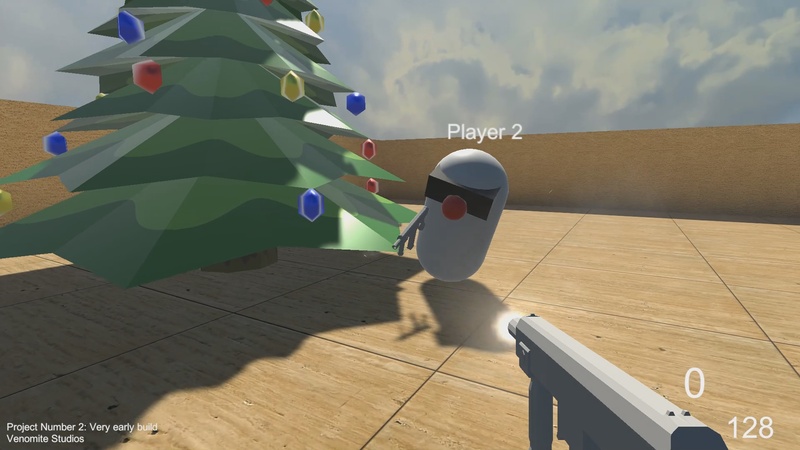 Previously there were blue balls, that appeared where the player had shot. They were kinda like bullethole placeholders and they didn’t sync in all the players. That is fixed now too. When you shoot there are bullet holes in the objects and all players can see them. To add more characteristics to all the implemented weapons, every one of them now has different clip sizes and rate of fire. 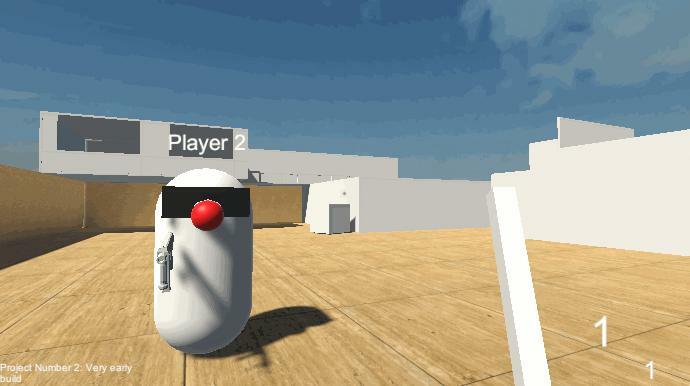 When you fire, the clip runs out of rounds and you’ll have to press “R” to reload – just like in other shooters! As I mentioned in the previous game development update, I wanted to release the game for everybody to try as I go along. The problem previously was that I only had 20 spots on the multiplayer server, that are meant for testing. I couldn’t let everybody on that limited server. But now I’ve found a workaround for it and you can download the game for free, by clicking the immensely obvious button below. But if you do want to play with your friends, please keep reading while the game downloads. The workaround I came up with is creating a virtual private server and playing over LAN. If you didn’t understand what I just said, no worries, you don’t have to. Just know, there is a free program called Hamachi, that can help you and your friends to play my game together. This program is free to download and I made an easy-to-follow video tutorial, that you can watch to set up a match for you and your friends. The first 6 minutes of the video shows how to set everything up and the rest shows how to fix problems if you still can’t connect to your friends. Other than that, I also made another update video, that displays all the new features and shows the overall gameplay. So if you can’t play the game, for now, you can still get an overview of it. 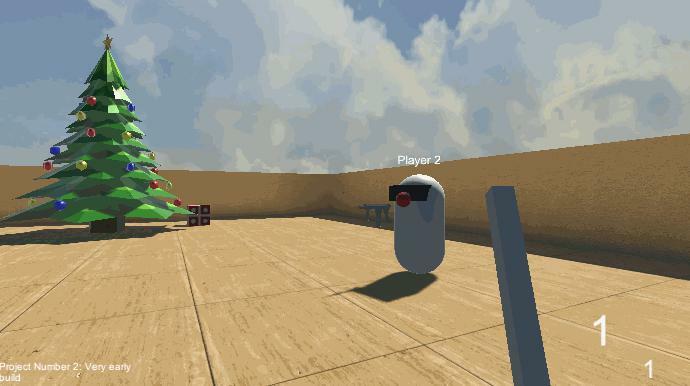 Hope you enjoy the game and have happy holidays! « How Much Money Should I Ask for My Service?